Izzy’s fourth tooth broke through today. It’s been signaling its arrival for weeks: red cheeks, roof-raising screams and diarrhea were clear warning of another milestone on the road from “baby” to “child”. Elsewhere Izzy is determined to retain her baby status. At nine months she still stubbornly refuses to crawl: not even a bumshuffle. Jo and I find that rather a blessing – a moving target is less controllable – but certain elderly relatives have raised eyebrows in disapproval. You know the kind of thing: Little Johnny was walking at this age; Jenny was reciting Shakespeare by the time she could crawl. Why are we so obsessed with accelerating our children's learning process? No sooner are babies ingesting solid food at one end than their parents start talking about potty training the other. Crawling, talking, walking, reading, writing: they’re all going to happen at some time. Why this compulsive boasting and one-upmanship, as if speeding through childhood were something desirable or useful? It’s not exactly a triumph of human progress to perform something every one of us is ultimately programmed to achieve. As I write this Izzy is saying “Yadadaga”, clear as anything. Surely you can hear the “dada” in there, even though she’s looking at the dog? Ben’s first real word was “duck”. He’s 28 now and has done many things in life to make me glow, but nothing quite matches the achievement of pointing at three flying Donald Ducks we had on the wall and saying “Duck!”. A word he then applied for the following two months to every flying thing: “No, darling, that’s an aeroplane – say “Concorde”. “Duck!”. I’m teaching Izzy to say “dog” by holding our two spaniels and repeating the word incessantly. One day she’ll probably point at the television and say “Paxman”, but for now she just ignores the dogs and gives me a pitying smile. I know what she’s really thinking: Just give me a break, Dada, I’ll get to it in my own time. Thank God there are no SATs for one-year-olds. This national obsession with standards and milestones is the underlying theme of the Cambridge Primary Review, the report that took some of our country’s top education experts three years to write and our education minister precisely 45 seconds to reject, presumably because it’s the most damning criticism of government education policy yet articulated. “The apparatus of targets, testing, performance tables, national strategies and inspection (distorts) children’s primary schooling for questionable returns”, it concludes. It criticizes the “disenfranchising of local voice; the ‘empty rituals’ of consultation; the authoritarian mindset”: in short, it utterly rejects the policies of this and the previous (Tory) government. In most other civilised countries where formal teaching starts at six, universal educational standards are higher than in the UK. How can this be? Sure, numeracy and literacy (what you and I would call Maths and Reading) are important, but so too are knowledge and skills. And here, tragically, our country’s standards have fallen through the floor. Middle England’s kneejerk reaction to the report is that children should read and write as soon as possible. Not so. An appallingly high proportion of five year olds are turned off school and simply never recover. The majority are from disadvantaged backgrounds and the feeling of inferiority can last a lifetime. Meanwhile, there’s no indication that those unfortunate children pushed by middle-class parents through hoops of early learning end up happier than their peers. On the contrary, last Friday I went to my old school reunion, where many of the brightest “fliers” seem to have led the dullest lives. By contrast, those of us whose reports always warned they “could do better” ended up having a ball. So Izzy, just take your time. Apart from the potty training. 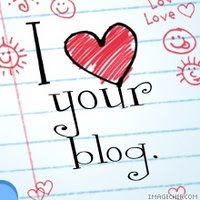 i like your blog , it is really good, but need more visitors.